The pine blocks measure 2 3/4" and just like the original Chatterblocks, the blocks are crafted from locally sourced, responsibly harvested pine. 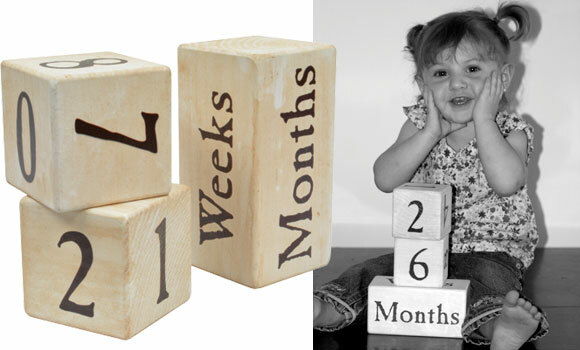 These blocks are finished with an antique white with dark brown lettering. The two single blocks can be rotated to the correct number. The double block has days, weeks, months and years. Perfect for social media pictures!